According to Popular Mechanics, a bad starter motor makes either a clicking sound or a high-pitched screeching noise when the ignition key is turned. A vehicle's engine cannot turn over or start properly without a functioning starter. A starter motor uses electrical power to rotate the pistons and values of an internal combustion engine prior to ignition. Vehicles that have a bad starter are unable to start, and turning the key often produces only the rapid clicking sound of firing spark plugs or the high-pitched mechanical grinding or screeching noise caused by a starter that cannot engage with the engine's flywheel. How Can You Tell If the Car Starter Is Going Out? How Do You Remove a Broken Key From the Ignition? What Causes a Key to Get Stuck in the Ignition? 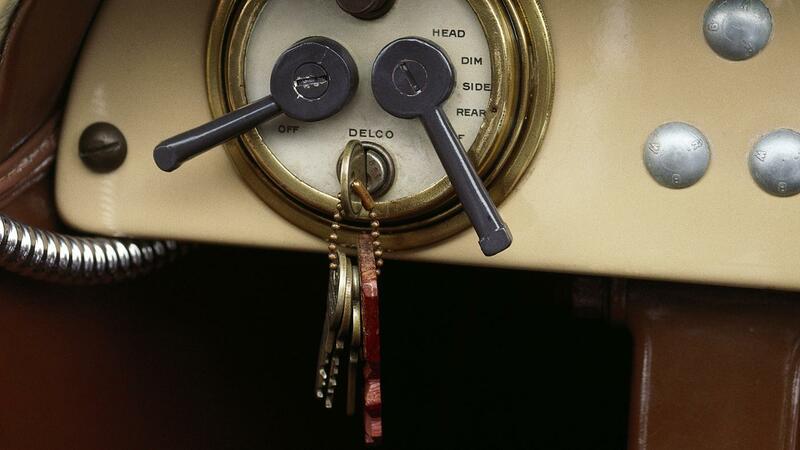 What Can You Do If a Car Key Is Stuck in the Ignition? How Do You Get a Car Key Out of an Ignition When It's Stuck?